A beautiful handmade card with personalised message and embroidered border detail. This card is perfect for any couple, especially those who are celebrating their first Valentine's Day as a married couple. The perfect way to encorporate your wedding song into Valentine's! 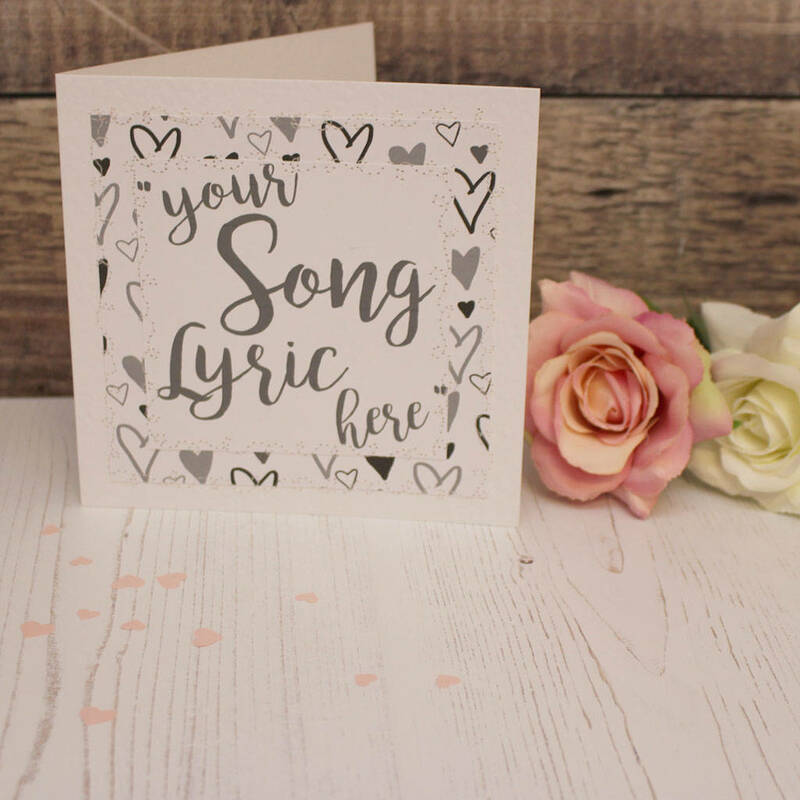 The message doesn't have to be song lyrics, it could be anything you want it to, a quote or maybe a private joke you share together - or just a simple 'I love you'. Please note that the maximum characters that can be printed is 80 due to a limited printing space on the card. Also, the size of the font will vary depending on how many words are in your message.